Rajneesh Kumar is Senior Vice President and Head, Corporate Affairs, Walmart India and part of the leadership team. 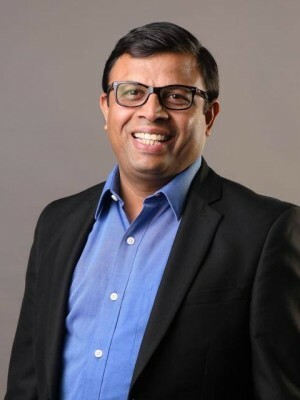 With a career spanning over 20 years, he currently leads Corporate Affairs for Walmart's India operations and oversees & directs strategic Government engagement, Public Affairs/media, Internal communications, CSR/philanthropy, Sustainability initiatives in addition to helping drive long-term strategy. Prior to joining Walmart India in September 2013, he served in leadership roles across several industries and the government. He led Corporate Affairs strategy in India for Global Ag-biotech leader Monsanto. In addition, he has served in senior management positions for VSNL (Now Tata Communications), for the Government of India as part of Senior Management Cadre of Indian Civil Services and spearheaded the Indian business of a large European Healthcare PE fund. Rajneesh also serves on the CII National Committee on Marketing and FICCI Committee of Retail & Internal Trade, in addition to AMCHAM & Retail Association of India (RAI). He is an Engineer by training and has done his MBA from INSEAD, France and executive education from Stanford Graduate School of Business. He is passionate about ‘Shared Value’ creation and driving ‘Responsible Business’ agenda.